2. Seek to have an Acts 6 group in the church. I am specifically referring to the manner in which the Jerusalem church dealt with murmuring and complaining. They appointed a group to take care of the widows who were being overlooked in the daily distribution of food. The seven who were appointed to the task were thus not only to do that ministry, but they were also to preserve the unity of the church. Churches need either informal or formal groups that see their ministry as dealing with conflict, complaints, and dissension so that unity is preserved. 3. Have a high expectation church. I have addressed the issues of high expectation churches and low expectation churches many times on this blog. Higher expectation churches tend to be more unified, more Great Commission focused, more biblically defined, and more servant oriented. 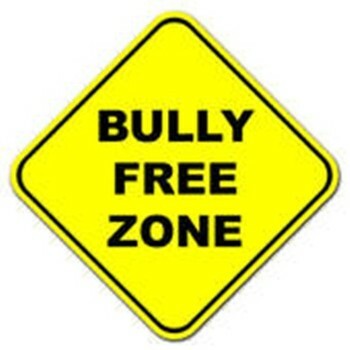 Stated simply, high expectation churches don’t offer an environment conducive to bullying. Church bullying is more widespread than we often like to admit. I hope these nine suggestions can help keep the bullies out of your church. Let me hear from you. Originally published at ThomRainer.com on April 1, 2015. Thom S. Rainer serves as president and CEO of LifeWay Christian Resources. Among his greatest joys are his family: his wife Nellie Jo; three sons, Sam, Art, and Jess; and seven grandchildren. Dr. Rainer can be found on Twitter @ThomRainer and at facebook.com/Thom.S.Rainer. Published by permission.